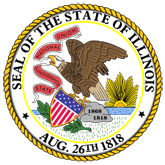 This publication is an agreement between the State of Illinois acting through the Illinois Department of Transportation and Alderman Frank Olivio awarding a grant for improvements to curbs and streets in the 13th Ward of Chicago. 1. Memorandum of Understanding (20060831133802_streets.pdf).